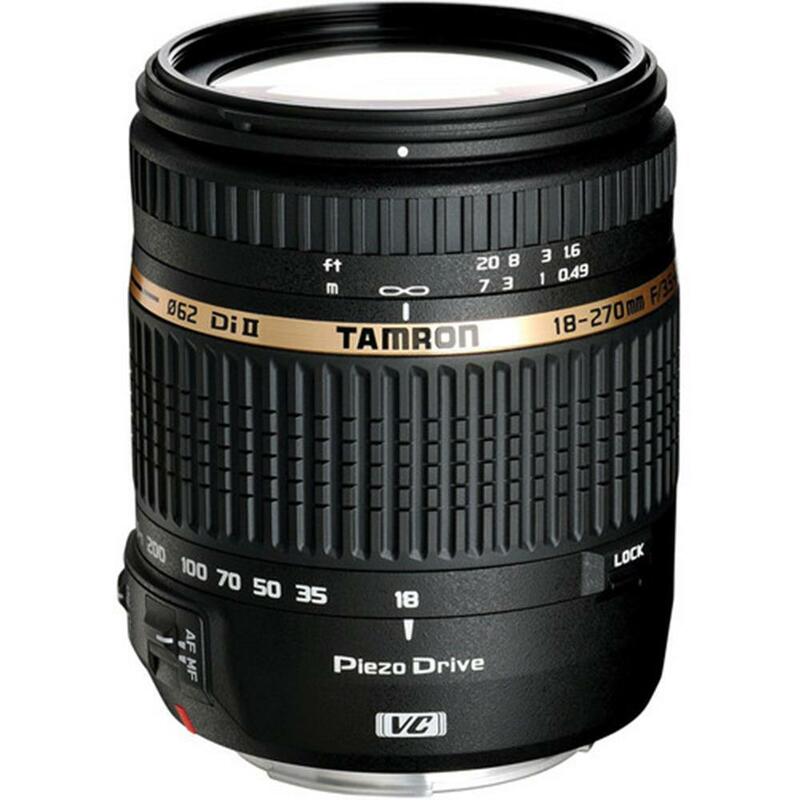 In addition to being a compact and lightweight lens with 15x magnification, the Tamron 18-270mm high-power zoom lens boasts the PZD (Piezo Drive) internal autofocus drive, a standing wave ultrasonic motor system. Agile performance is virtually guaranteed with an unshakeable VC (Vibration Compensation). All that, and with a 62mm filter diameter and weighing in at 450g, this lens is the cumulation of uncompromising research and development to make a lightweight, compact, all-in-one super zoom lens. The trailblazing PZD delivers smooth, quick autofocus. Combined with VC, this is a winning partnership delivering clear, stable shots even in low light or at the telephoto end. Easing your ability to capture clean, clear images of high resolution. The result: express yourself without limits. Whether you are toting it to a casual picnic or an off-road mountain biking expedition, we have engineered a high-powered zoom lens that?s not only versatile but also light and compact. The PZD piezoelectric drive is an internal standing wave ultrasonic motor system. Innovations to reduce parts and simplify operation also contributed to the lens?s reduced size and weight. Lighter and smaller than other autofocus drives, the piezoelectric drive uses a standing wave, instead of the traditional travelling wave, to turn and extend the piezoelectric element. Thus the entire element moves in a standing wave pattern, moving the metal tip (the contact surface) in an elliptic motion. The friction of this movement moves the rotor for a smooth, precise autofocus.